The help you need ... when you need it. "Responsive on-site support is the main reason we selected BDS as our vendor. BDS engineers have been able to support everything on the network including our application software." 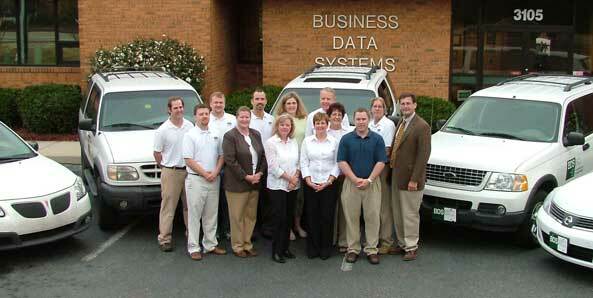 BDS has one of the most qualified and experienced service and support teams in South Carolina. Our staff of engineers and technicians are certified in a broad range of today's most sought after data, voice, and video technologies. Many companies promise to provide outstanding service, but BDS has a twenty-year track record of delivering on that promise. We take responsibility for solving your problem; with no finger pointing. An experienced engineer is assigned to manage the technical support needs of each of our customers and our entire staff is committed to quickly responding to your all service needs. A service contract from BDS is a complete support solution for businesses that need prompt and reliable on-site assistance. A service contract ensures that an engineer is available to get you up and running again in the event of a problem. Your company will be assigned a dedicated engineer that will know your system thoroughly. And he’ll be backed up by the entire BDS staff. Priority Response - The repair costs associated with a hardware failure can be substantial, but the indirect costs associated with the system’s down time can be even more costly. With a service contract from BDS, your problems are automatically moved ahead of those of non-contract customers, ensuring that your down time will be minimized. Budgetable Costs - A BDS service contract simplifies budgeting by providing a complete support service for one predicable annual or monthly fee. You pay nothing for the parts and labor required to repair covered equipment. There are no unexpected repair bills. Discounted Rates - As a service contract customer, you will receive a substantial discount on labor rates for other services provided by BDS, such as software support, system upgrades, and equipment relocation. Free Loaners - If you have a problem that cannot be corrected promptly, a free loaner will be provided while the repair is being made. For more information see our Service Contract Terms and Conditions. A block of time contract is a support solution for businesses that need prompt and reliable on-site assistance but don't need to cover their equipment with a hardware service contract. With a block of time contract, your business will receive priority response, an assigned engineer, and discounted labor rates. You can report a problem any time by calling toll free 1-800-567-5507 or by emailing it to support@bdssc.com. Please include your company name, callback phone number, and a brief description of the problem.